Nerd Alert: I have had a love affair with origami for 22 years. I have boxes filled with random folded creatures, I had origami cranes on my wedding invitations and 1,000 folded cranes at my reception. 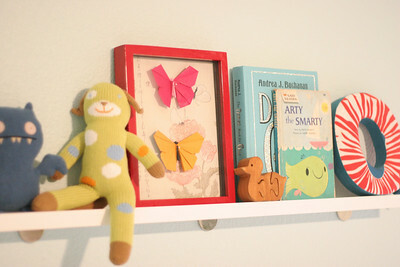 I have at least 10 origami books and boxes (sigh) of origami paper which I would roll around in naked were it not for the wrinkling (that’s how much I love it) so I was happy to have come up with this little project as a way to display a few pieces in baby’s room. It seems so obvious, has anyone seen it done before? • Display frame: $8.99 @ Michael’s. Rock that 40% off coupon and you’re in business. 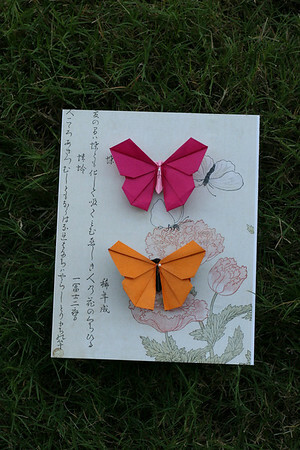 • Instructions for origami butterfly. I used this book and highly recommend it if you have some folding experience. 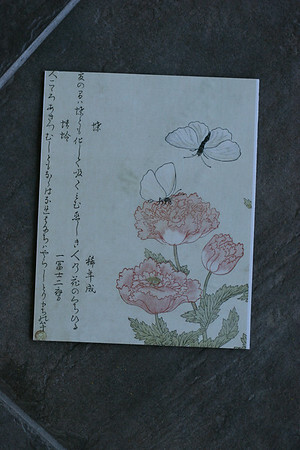 Otherwise here is a link to many butterfly instructions. • Origami paper (the paper I used was 2 sided.) You could also use plain white for a more modern look. 1. 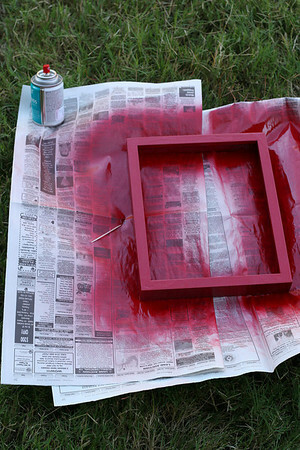 Disassemble frame and, in a well ventilated area, spray paint your frame (if desired.) Leave to dry. and trim both together using your box cutter and straight edge. 3. Fold your butterflies as directed. Love everything and the shelf, Awesome "together" display! Where did you get the great "Q' for Quinn? Great new title and design! The "Q" is from Anthropologie. Last year's pattern on sale for $7. SCORE! Poor "Q," nobody needs "Q"… except for me and my little lady!! This is a very cute idea. My littlest one is currently sleeping in a completely bare nursery (mommy guilt, mommy guilt…). 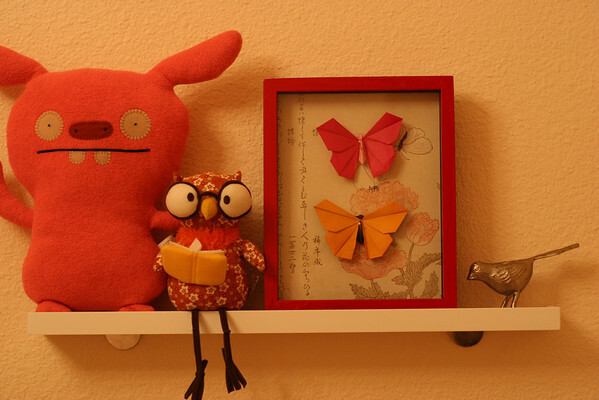 Off topic – that owl on the shelf is adorable. Nice! I love it when people take designs from nature and turn it into beautiful art! I do the same thing, except I use real butterflies that are farm raised so the natural species are not diminished. 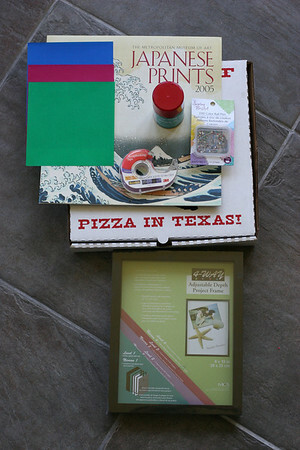 If you like, you can check out my creations at http://www.butterfliesandart.com and see the wonderful diversity that God has placed on planet earth.